After such a looo-ooo-ooo-ooo-ooo-ooong, cold spring how nice to see the crocuses finally arrive. Those blasts of colour amidst the detritus of fall and winter. Opening wide to capture the sunlight. 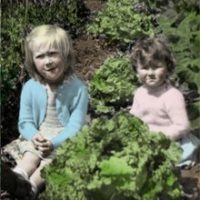 Then came the sudden summer last weekend, and all the little darlings plopped on their sides and expired. Still, they were glory itself for a week or so. I’ve planted hundreds crocuses, with Jekyll-like visions of naturalized drifts of colour. To little avail. The two yellow ‘Advance’ crocuses below are the few sad survivors of 30 of the same planted a few years ago. 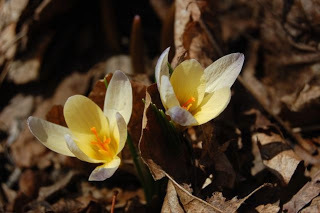 As small bulbs (or corms, more precisely), crocuses don’t require deep planting – making them fair game for anything with paws and teeth and a nose for recently disturbed soil. Squirrels in other words. Squirrels are drawn to freshly turned soil like zombies are drawn to brains. No, not cayenne pepper (kind of mean, even for me) or wire mesh (too fiddley). 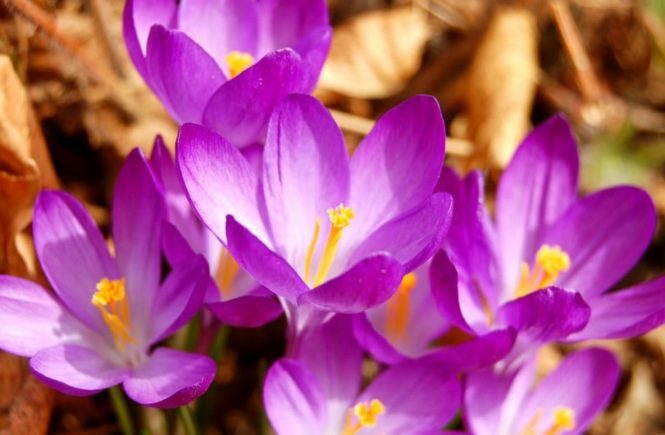 The first method, though not absolutely critter-proof, is to buy crocuses in pots in spring, and plant them where you want them – the downside of this being the limited range of choices; the upside being that you impatient types (I name no names) get the immediate effect of the blooms. 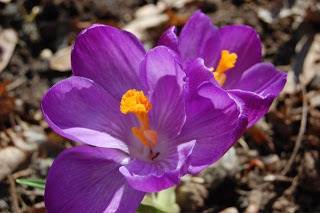 They’re usually the large-flowered crocus, like these stripey ones in my neighbour’s yard. Resist the urge to buy the pots in full bloom. Buy them when the fewest number of buds are just beginning to show colour. The second method – to which I give full credit to Sarah – is to place a large, flat stone over the planting spot till the soil settles down. 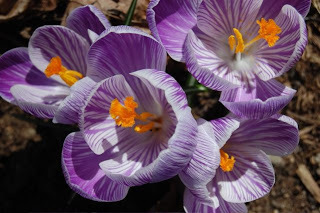 This gives you freedom to choose from the many named varieties, like the incredible Crocus ‘Violet Queen’ which opens the blog. Sarah covets my snowdrops; I, her luminous Violet Queens. 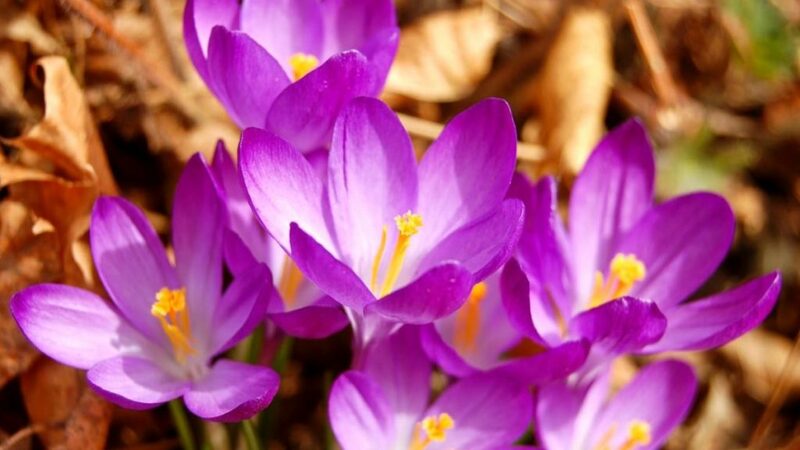 And when the crocuses bloom, don’t forget to love them. Get outside. Get close. Get personal.